Lovely light and perspective to show the stature and beauty of this cross. That's a big cross. Nice capture. That old rugged cross never stood higher, great shot. 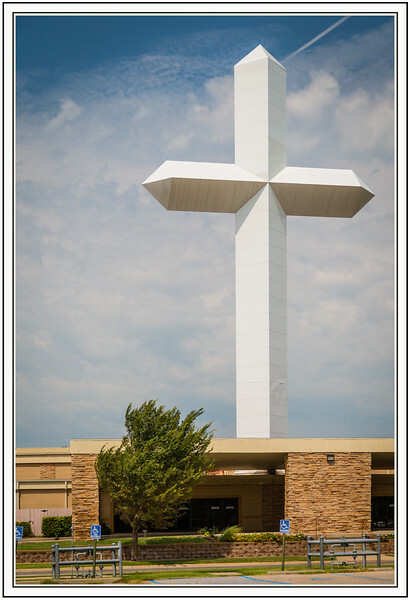 We see a big cross like this in Tennessee I believe.